Deluxe Swivel Seat Cushion helps make getting in and out of a car much easier. 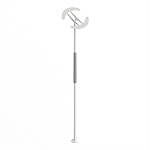 Enables a person to twist and turn while helping to prevent hip and back strain. Getting in and out of a car becomes much easier with the Deluxe Swivel Seat Cushion. 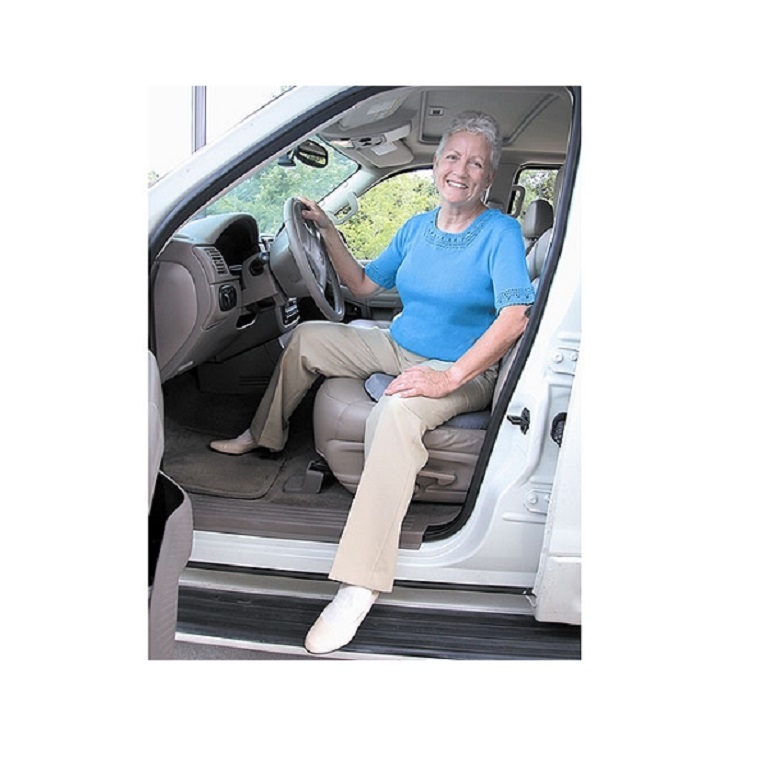 Users can easily carry this lightweight swivel cushion and will find the 360° turning capability makes it easier to get into whatever position is best for entering and exiting a car. 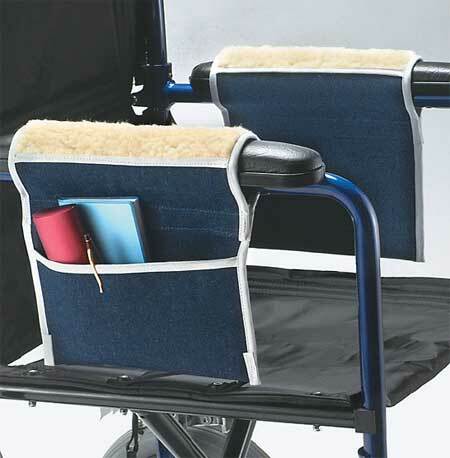 The Deluxe Swivel Seat Cushion base has a ball bearing roller mechanism that allows the seat to turn without binding. 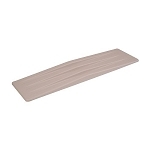 The durable flexible base with slip resistant bottom contours to seat and stays in place. 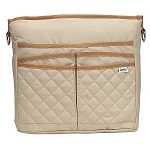 The cover is removable and machine washable. The Deluxe Swivel Seat weighs 2-1/2 pounds and has a weight capacity of 300 pounds. **The Deluxe Swivel Seat Cushion has an overall thickness of 2 inches with soft foam padding for added comfort. 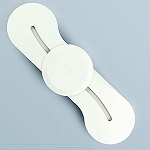 If a thinner cushion is needed, consider the Auto Swivel Seat Cushion item # CMT96312. The swivel does help my wife enter and exit our car. It does however add height to the seat which makes it unusable for me at 6''3" It is also not comfortable for large people with a broad seat - especially on a long trip. A wider version would be a good option to add. A useful tool - but buyers should be made aware of these limitations. 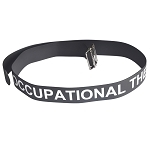 I bought this item for my mother as she has fibromyalgia and has problems getting into her mini-van. Although, in theory, the cushion works well, it also adds 2 inches of height to the seat. This makes it even harder for her to enter the vehicle. She ended up not using the cushion for that reason. It works okay. It''s hard to swivel on my particular car seat which slants backwards. 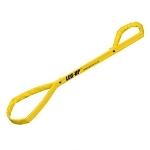 It has provided some positive assistance and when I did use it, it made exiting the car a bit more trouble free. My biggest problem before the cushion was cloth seats and denim, do not make exiting a car easier with paralyzed limbs. I haven''t tried it in a straight-backed kitchen chair. I''m sure it will swivel more easily. I'd just begun to sew again after having 2 lower back surgeries. Changing direction on the stool I was using caused great discomfort. I hurt so bad I nearly stopped sewing altogether. But I found this cushion and oh my what an awesome difference! I can turn in any direction in complete comfort. I would recommend this to anyone. Every vehicle without swivel seats is devil designed!!! these puny options are made stupidly TOO SMALL!! IF WE SURVIVE daily THE GENOCIDE attempts of greedy tyrant government we are to live in pain. Q: The dimensions and manufacture would be a big help in evaluating this item? 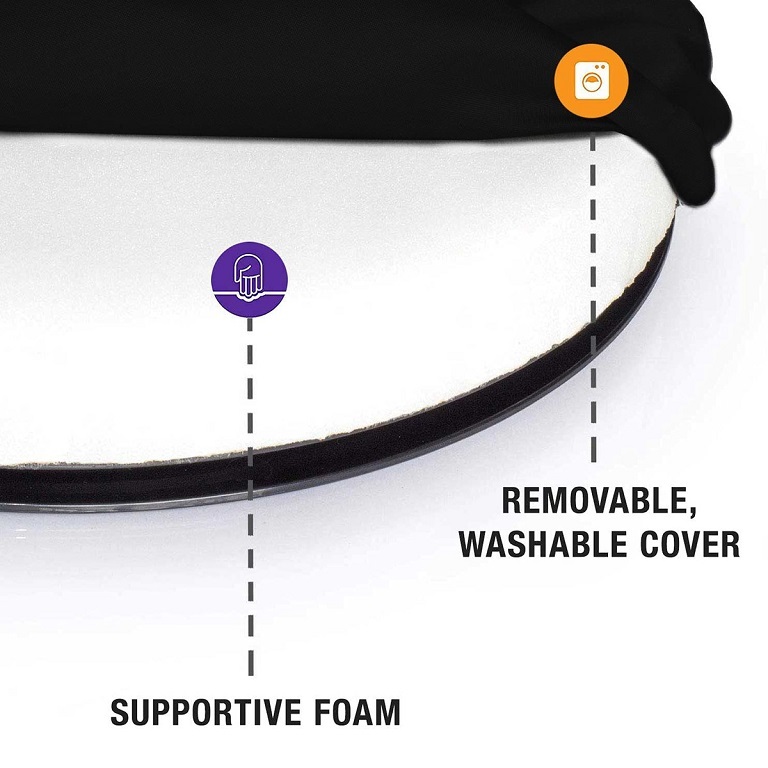 A: The cushion has overall thickness of 2 inches with soft foam padding for added comfort. Q: Will this work well in a dining room chair for a person with Parkinson that has trouble with getting in and out of chairs and turning in chairs? Q: Will this work properly for a 220lb person in a bucket seat? A: Yes it will. Weight limit: 300 pounds. Q: What are the dimensions of this cushion? A: Cushion has a 1-3/8 inch thick polyfoam-padded seat. Diameter: 15 inches. Height: 1-3/4 inches.